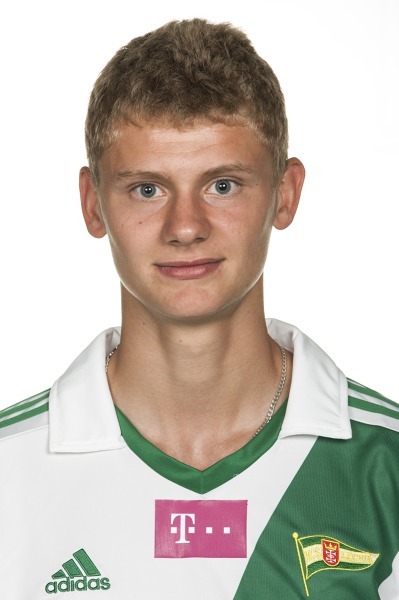 Dawidowicz joined Lechia Gdansk youth academy in 2011 from a small lower league team Sokol Ostroda. Already from the beginning he became a true star of “Bialo-Zieloni” youth teams and thanks to that he was given a chance to debut in the first team on 30th May 2013 in a league fixture against Zaglebie Lubin. During 2013/2014 season new Lechia manager Michal Probierz decided to give the talented defensive midfielder more opportunities and Pawel quickly became a first team regular and a true leader in midfield. There have been a lot of rumours floating recently around about Borussia Dortmund interest in him, where he could replace Sebastian Kehl within a few years. It is worth mentioning that he regulary plays for the Poland U-19 team.